Vibrowlash Oil Free Makeup Remover 8 oz. Gently remove eye makeup to prepare the eyelashes and eyebrows for ViBrowLash Color Cream application. 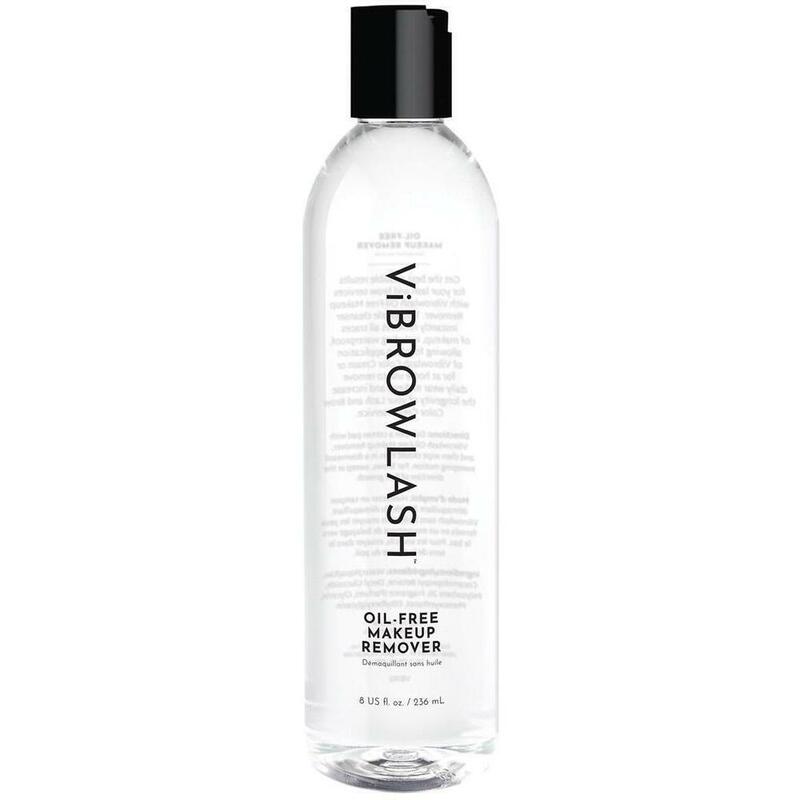 ViBrowLash Oil-Free Makeup Remover is a must-have for every ViBrowLash service! This effective cleanser removes even waterproof mascara, but it’s gentle enough that it won’t strip your color. Made in the USA. Free of gluten and lanolin. Vegan Awareness certified. Leaping Bunny certified. Apply with cotton pad on closed eyelids gently in a downward sweeping motion. Apply with cotton pad on eyebrows gently in the direction of the hair growth. Oil-free. Non-greasy. Gentle enough for sensitive eyes and contact lens wearers.